The basic key to writing and a point that often gets over looked and buried under many other aspects is to "just write". No matter what your tool of choice is whether it be a typewriter, PC, laptop or good old fashioned pen and paper the more you write the better you'll become. Your musings no longer need to be stored away in notepads or journals. You can put them directly onto the internet and published in no time at all. You can start your journey of becoming a better writer by blogging. You need to find out what it is your passionate about, then start sharing your thoughts in a unique inventive way with your audience. Your blog is your own personal platform or sounding board. Think about what sparks your interest and start focusing in on that. Discover the writer in you through your blogging. Know that your thoughts may change in the future. Things change over time, that's just a general fact of life. Nothing ever stays the same, whatever you publish now may be of less value in the future. Evidence may surface about an idea or topic - changing how everyone thinks. To put it simply the information you've gleaned and put into a blog post may not always be right. Don't let that little fact put you off writing. Good or bad it's out there for all to see. If you're a zealous note maker you'll notice that only you can understand the shorthand you've written. When you're writing a blog post you need to make sure the post isn't for you but for your audience. In the process of writing you open yourself up to comments and criticism. You can share your blog posts on social platforms such as Facebook, Google+ and Twitter to your hearts content. It's in your hands whether or not you engage with your audience. Even negative feedback to help you grow your blog audience, you can enter into conversation with your followers and share ideas. Convey more in less space. Challenge yourself every now and again to write longer articles, enhancing your thought, idea or argument. Then try challenging yourself to writing out the same thoughts in 300 words or less. It's your blog so you can write as long or as short as you want. You can try different kinds of writing with your blog. Blogging isn't just about writing up a blog post, it can also include many other types of writing including copywriting. Copywriting is used to market or sell a product, and is a writing skill that takes time to be mastered. Writing in different ways can open up new opportunities and make you a better wordsmith overall. All-in-all your writing will improve. Practice makes perfect, that's a given for anything you want to accomplish in life. 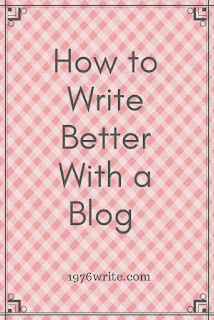 Have a regular writing schedule for your blog means your writing will improve over time. It also means you can improve on any old posts you have. Improving on what you've already written is a good place to start. 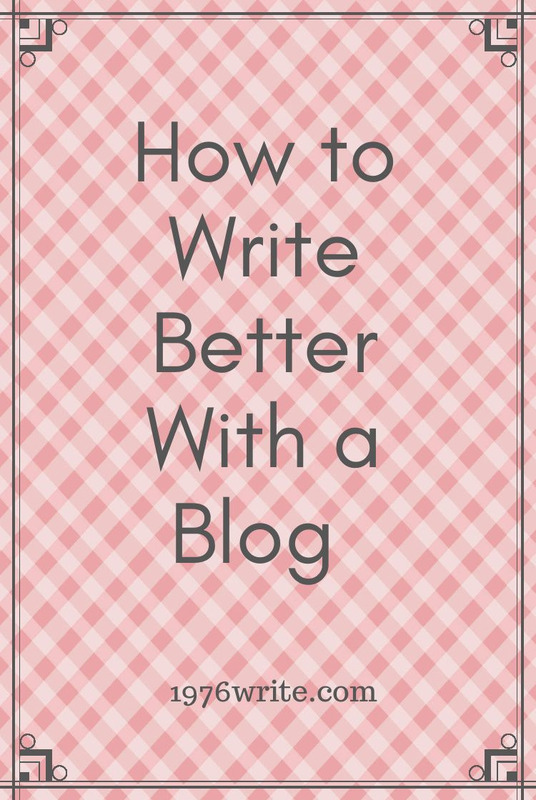 Let me know in the comments below if blogging has made you a better writer.